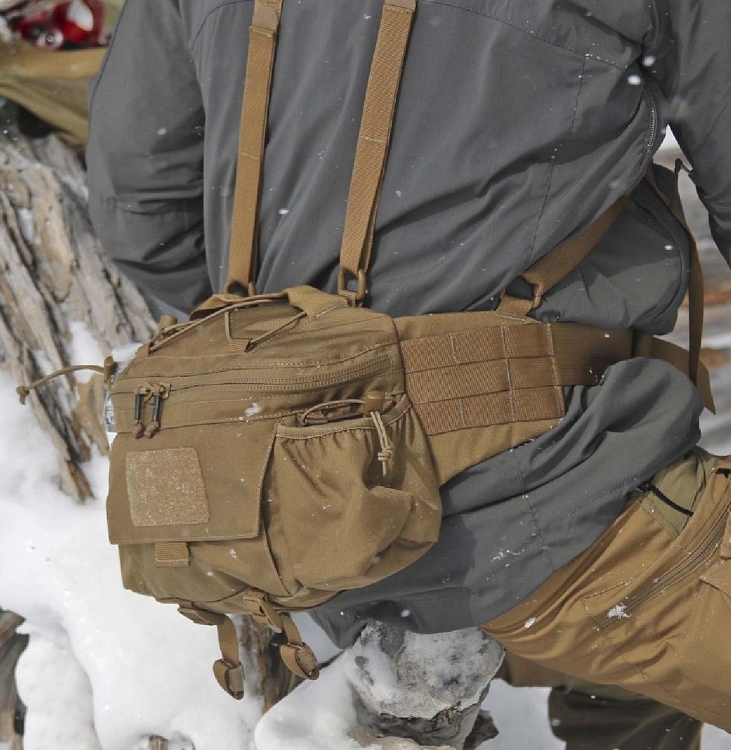 The Foxtrot MkII Helikon-Tex Bushcraft Line can be used alone or worn with functional braces. 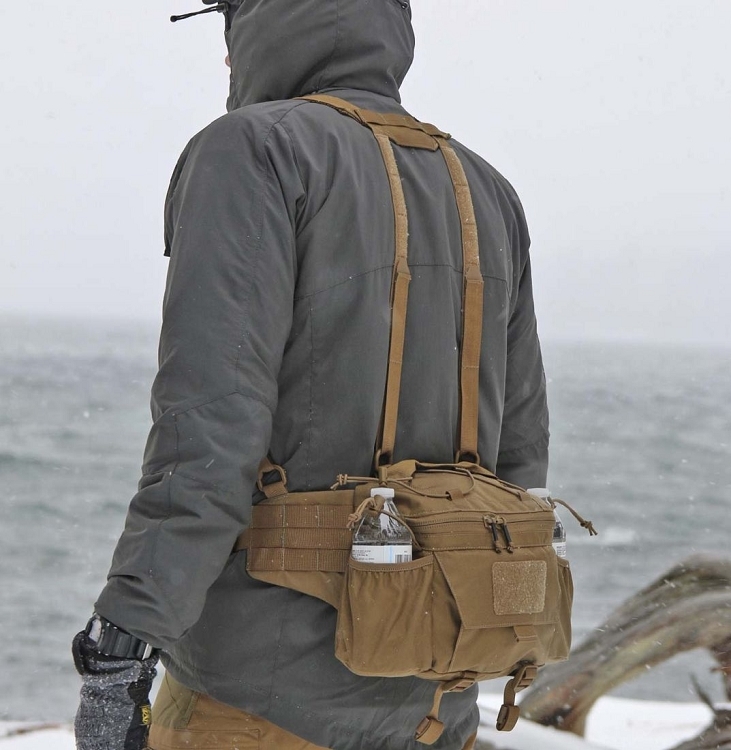 The Foxtrot MKII Belt Rig can be worn as a stand-alone item or be worn with functional suspenders.The Foxtrot comprises the main compartment with open-top sewn water bottle pockets.Partial hip belt has MOLLE/PALS attachment points for modular pouches.The main compartment comprises two zippered pockets with a velcro-closed one on the front.Additional Versatile Insert System.compatible insert can be added within the main compartment..Rolled poncho or thin seating mat can be held under the top-of-the-pocket rubber band – or under the compression ribbons at the bottom. 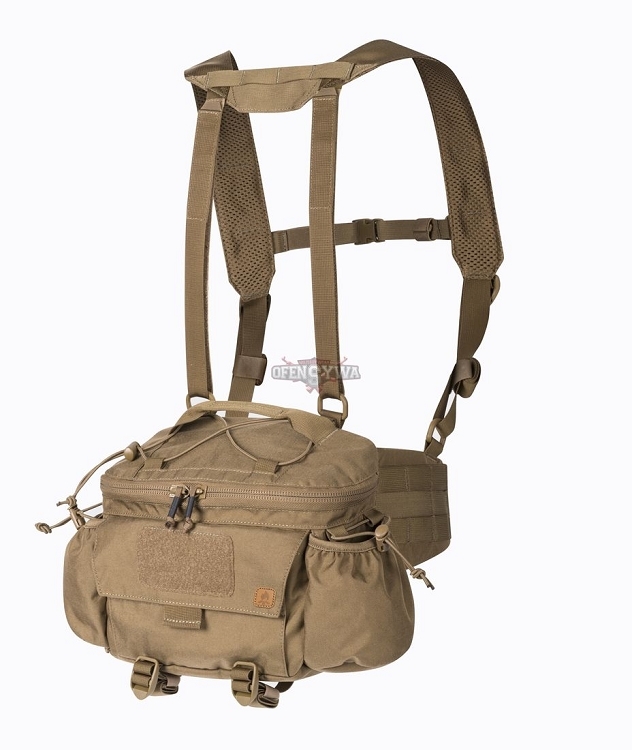 Suspenders are easily-adjustable with velcro at the back, they stabilize the load and spread the loads all over the wearer’s frame. Foxtrot MkII is an ideal solution for Nordic Walking-style hikes. 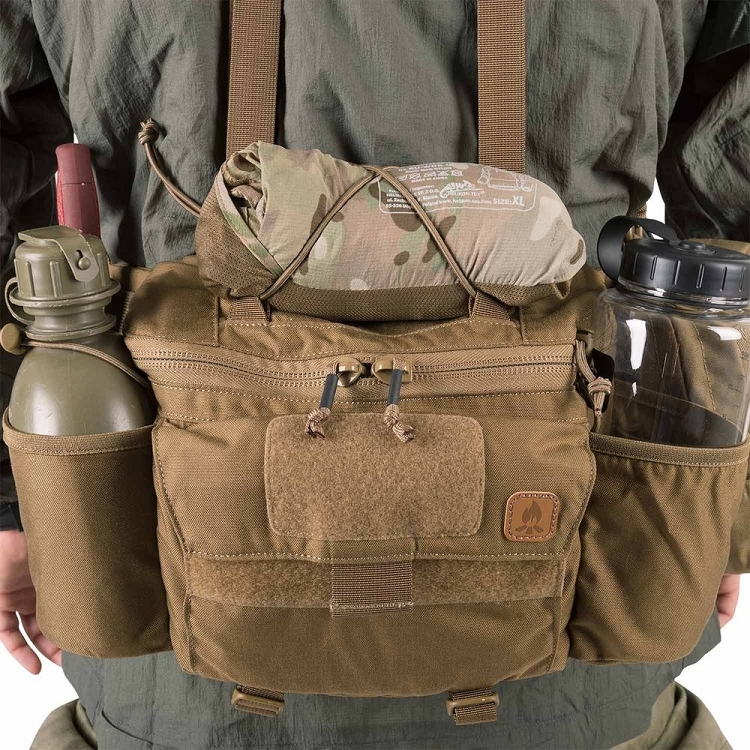 -MOLLE/PALS system with channels for knife/saw/axe etc.